The study Influence of dietary restriction and low-intensity exercise on weight loss and insulin sensitivity in obese equids was carried out by Nick Bamford and his colleagues at the University of Melbourne’s Faculty of Veterinary and Agricultural Science, in collaboration with SPILLERS®. A total of 24 obese horses and ponies were randomly divided into two groups; ‘restricted diet only’ or ‘restricted diet plus exercise’. All horses and ponies were fed the same diet of restricted hay (no grazing), a small amount of alfalfa chaff and soya bean meal, and a vitamin and mineral supplement. The exercise programme, which was designed following feedback from horse owners to help ensure it could be implemented relatively easily in ‘the real world’, consisted of 15 minutes of brisk trotting (with a five minute walk before and after) five days per week for 12 weeks. This research is part of SPILLERS®’ on-going work via the WALTHAM® Equine Studies Group, to expand knowledge of equine obesity help to improve the health and welfare of horses and ponies throughout the world. 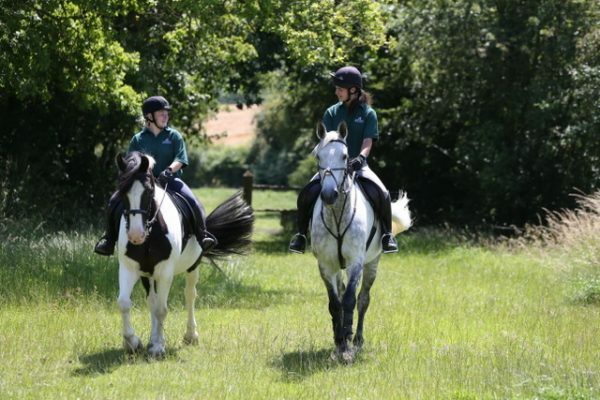 For more advice on managing overweight horses and ponies contact the SPILLERS® Care-Line on+ 44 (0)1908 226626 or visit www.spillers-feeds.com.